Beef…it’s what’s for dinner. 🙂 I love that commercialized tag line. 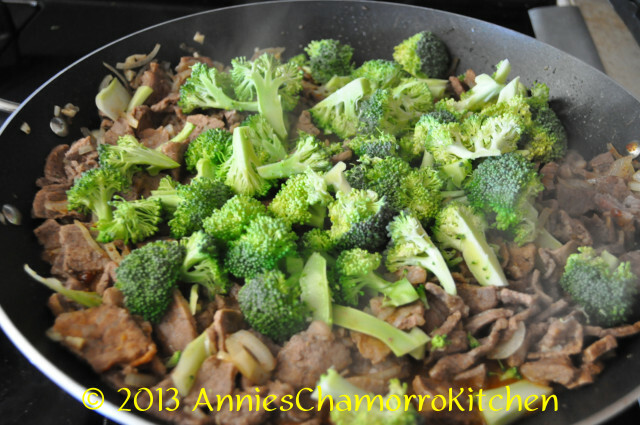 Beef stir fry is another one of those versatile dishes that you can change by adding different vegetables. I like using whatever looks freshest at the grocery store. 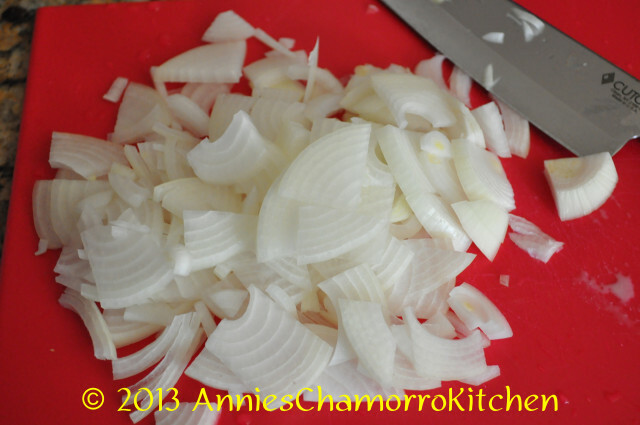 Use whatever vegetables you like, or modify this further by substituting the beef with chicken, pork, or even shrimp! 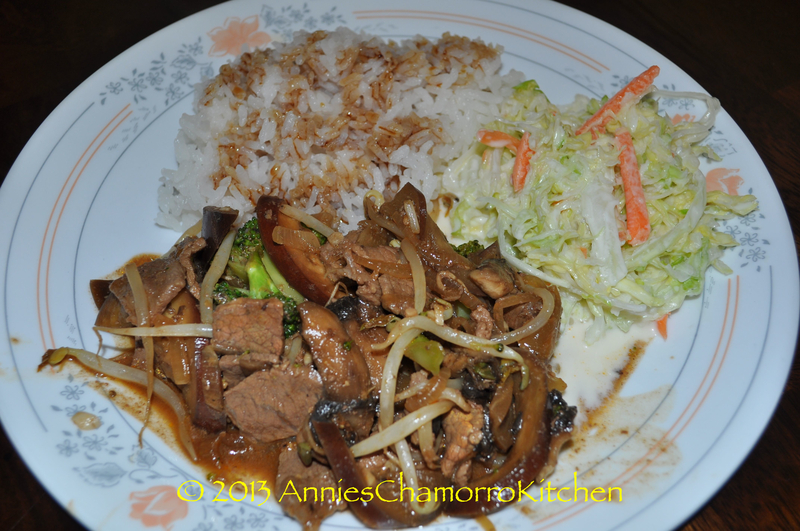 You can even make this a vegetarian dish by stir frying firm tofu in place of the beef. The options are virtually endless. 1. 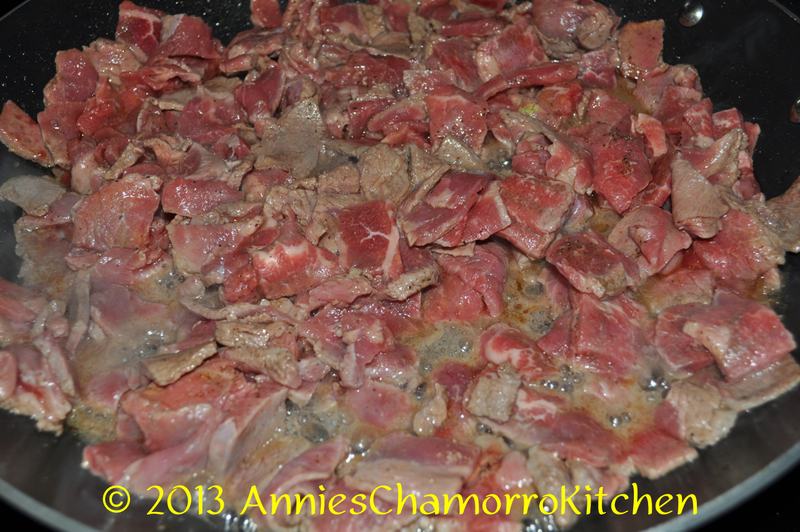 In a large pan or wok, brown the beef over high heat along with the sesame oil, black pepper, accent and garlic. 2. 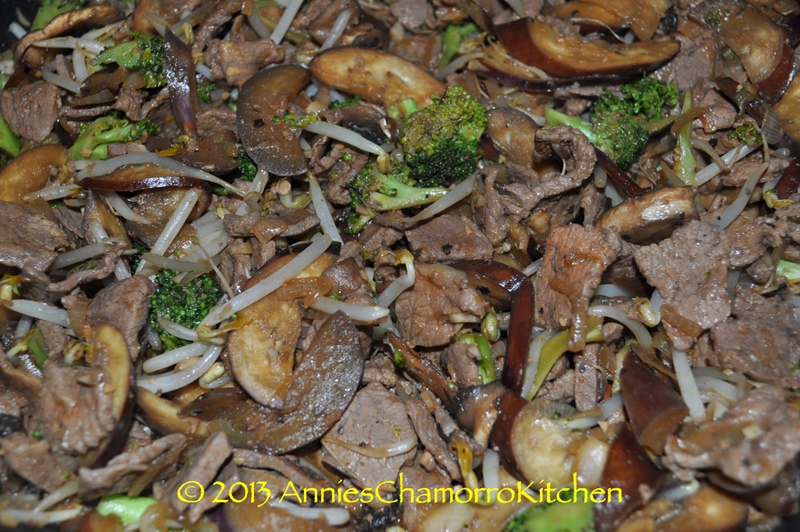 When the beef is browned, add the onions, broccoli, eggplant and mushrooms. 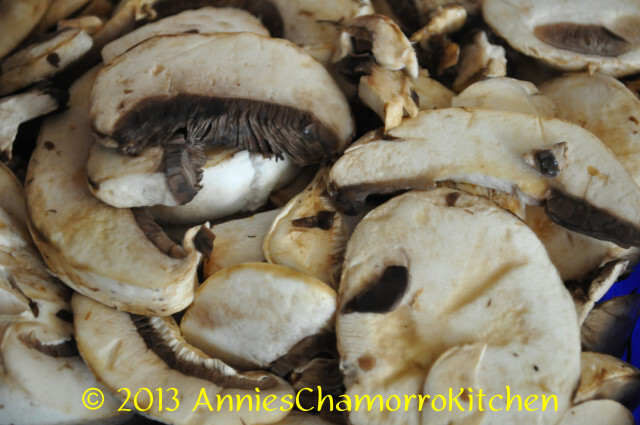 Cook over medium high heat until the eggplant and mushrooms have wilted slightly. 3. In a small bowl, mix the soy sauce, hoisin sauce, and Korean seasoned soy bean paste. NOTE: If you can’t find the soybean paste, substitute with like amounts of hoisin sauce. Add the soy sauce mixture to the pot; stir to combine all the ingredients. 4. 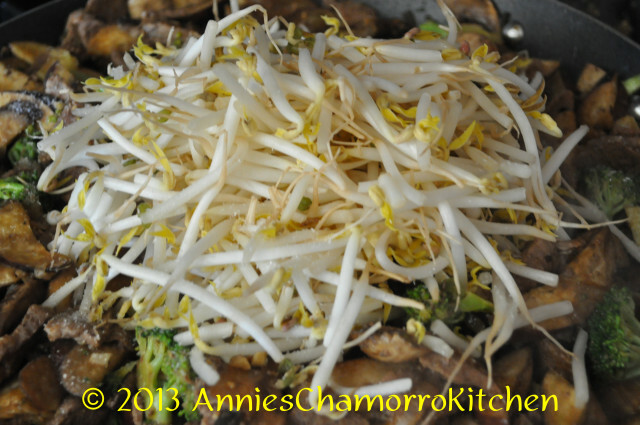 Add the bean sprouts. 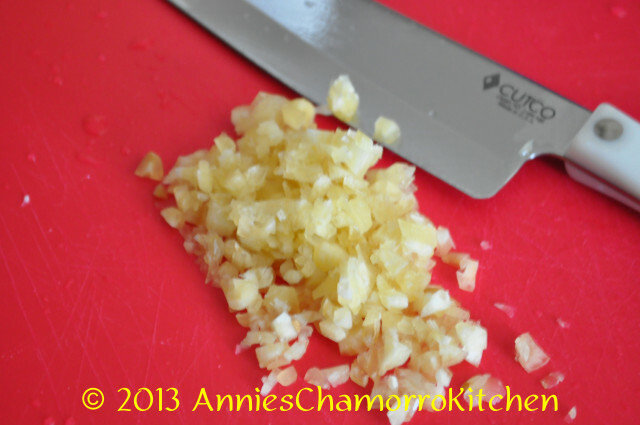 Reduce the heat to low and simmer for about 5 minutes until the bean sprouts have wilted only slightly. 5. 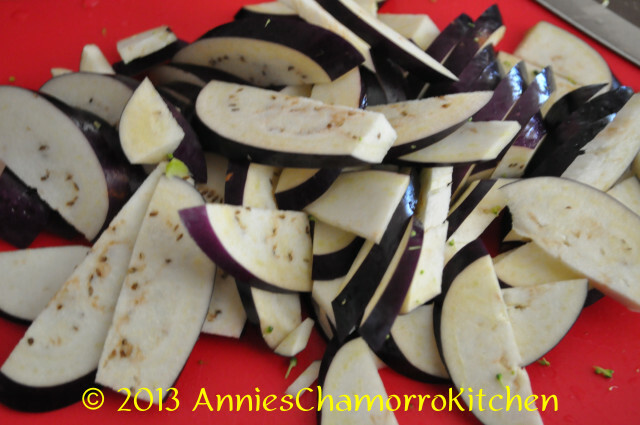 Serve with hot rice and enjoy! I bought beef stew meat. It’s cubed. I plan to thinly slice it. Any tips to cook it faster For this recipe? Thinly slicing the cubed meat will be fine. I just tried this dish using bitter melon and short ribs for the meat, and it was yummy! The slight bitter taste complemented the salty taste from the ingredients…and short ribs is one of my favorite meat so this combination was a grand slam home run for me. Thanks Annie!! This looks really good, quick and easy! I think I’ll try this on the weekend. 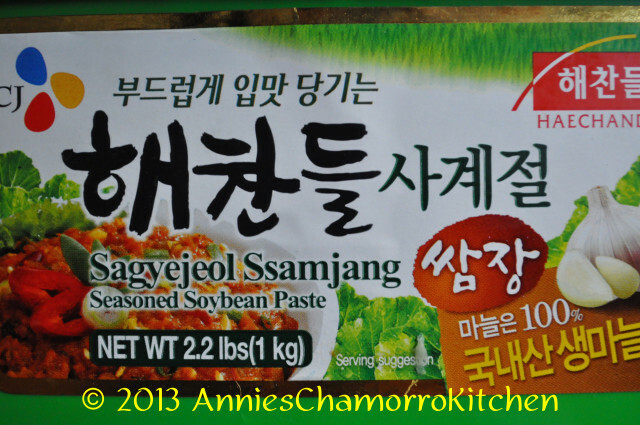 Annie, where do you buy the soybean paste? (I’m in Aurora, CO). Ramona, it’s a Korean soybean paste so you can try looking in a Korean market in your area. Most Asian stores carry it as well. You can also try H-Mart. There is a great selection of all sorts of Asian foods there. The H-Mart I know of in Aurora is at 2751 S Parker Rd.